Home Lifehacks How to Reduce or Stop Caffeine Intake with Teas? Coffee and other caffeinated drinks are the most commonly consumed beverages in the world. The statistics show that a hundred million Americans consume at least one cup of coffee a day and that’s quite significant. Although it is advertised to give you a lot of energy, caffeine is actually very bad for you and more and more people are removing it from their diet. Why Drinking Coffee Is Bad For Your Health? Drinking a cup of coffee here and there should be fine, but if you’re relying on caffeine to have more energy, that can have bad consequences. If you wake up in the morning and you need that coffee to get you started and to keep you functioning throughout the day, you’re actually doing more harm than good. 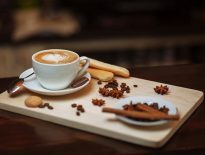 When you drink coffee or an energy drink, caffeine is the main drug there and it is a stimulant, and what it does is stimulating your body and your adrenal glands. That is why you feel that initial euphoria and adrenalin, but as you have probably witnessed, that feeling does not last forever and it is followed by a crash. That’s why you seek out more caffeine afterward. And that’s where the problem is. Most people nowadays are overstressed, overworked, over-caffeinated and that combination is leading to what’s been called an extreme fatigue epidemic. People are more tired than ever before despite using caffeine. 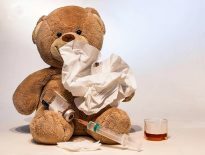 So the more stimulation you bring into your body, the more you’re wearing down your adrenal glands and as that happens, it’s only a matter of time when your body completely shuts down. How to Quit or Reduce Caffeine Intake? If you like the taste of coffee and don’t want to stop drinking it, then you should at least switch to decaf. Caffeine is just like any other drug and you just simply have to stop taking it. You will go through some withdrawal symptoms like headaches, but those will soon pass and it’s worth it when you know how much healthier you will be. Drinking coffee is also about the habit. Many people have those morning rituals of enjoying their cup and getting coffee with friends. It is simply a big part of our lives. That’s why the best way to get rid of this harmful addiction is to create new, healthier habits. You can simply substitute your cup of morning coffee with a cup of delicious tea. But keep in mind that many teas also contain caffeine, so that means you should avoid green, black, and white tea. The teas that you want to be drinking as a replacement, that are completely caffeine-free are herbal teas. Since they don’t come from regular tea plants and are not fermented, herbal teas don’t contain caffeine and are an amazingly good way to quit caffeine for good. You will still have your ritual of drinking a hot beverage in the morning and during the day, but it will actually be good for you and your body. So here are the most flavorsome herbal teas that you can replace coffee with. 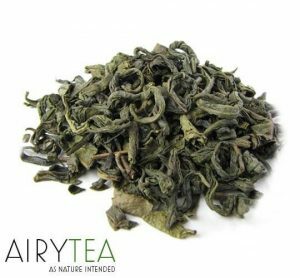 This is one of the classic herbal teas that has a very distinctive flavor most people enjoy very much. Menthol is the substance that gives peppermint tea its smell, flavor, and aftertaste. It will also protect your oral health and after just a few sips, you will get an amazingly fresh breath. Mint tea is a natural mouthwash so not only did you replace coffee with a healthy drink, you also got a nice breath instead of bad coffee breath. Another great thing about this tea is its ability to reduce stress and make your mental performance better. That makes it a perfect beverage during work hours because it will get rid of anxiety and soothe you, while also making you think better and react faster. This sweet-tasting tea will win you over right away and you will forget about coffee instantly. If you preferred to drink your coffee with a lot of sugar, osmanthus tea is a great replacement because its flavor is so sweet, but in a healthy, natural way and there is no need to add sugar. It is made from osmanthus flowers which means it is completely caffeine-free and healthy. This is a great tea to finish your day with because it will relax you and relieve all the built up stress from work. 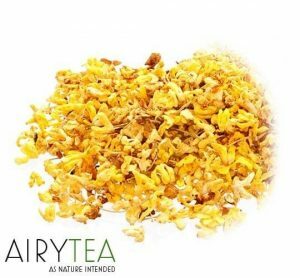 Buy our osmanthus tea and get them shipped today. Some of you may not have heard about this tea because it is pretty unusual. It is made from lotus leaves and it’s a traditional Chinese tea. Its floral taste and pleasing aroma make it a perfect tea to start your day with. While you’re sipping this mild tea, you can prepare yourself mentally for the day ahead and all of the things you need to do. 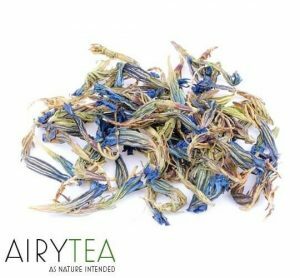 Order our delicious lotus tea here. Lotus leaf tea is known to significantly improve cognitive function so that will make you perform better at work. If you think you need coffee to function properly, then you must try this tea and see how much better it is for you. If you’re looking for a more natural and healthier way to boost your energy than drinking coffee and energy drinks, then you must give eucommia tea a chance. This wonderful herbal tea will increase the production of adrenalin in your body without any negative consequences. It is a known herb among athletes because it helps them perform better and heal injuries faster. So what’s better to start your day with then a tasty cup of eucommia tea? It will wake you up immediately and get you started for the day. Click here to buy eucommia tea. Lifehacks	Tea vs. Coffee – Which One is Better?